This performance by the Vuyo Mjindi Sextet at The Jazzy Rainbow is part of the Concerts SA Venue Circuit which aims to foster a love and support for live music in our communities, as well as anchor small and medium sized venues in urban and rural Gauteng, KwaZulu-Natal, and the Western Cape. Vuyolwethu Mjindi (Vuyo Mjindi) born in the Eastern Cape, is a pianist/writer and arranger. 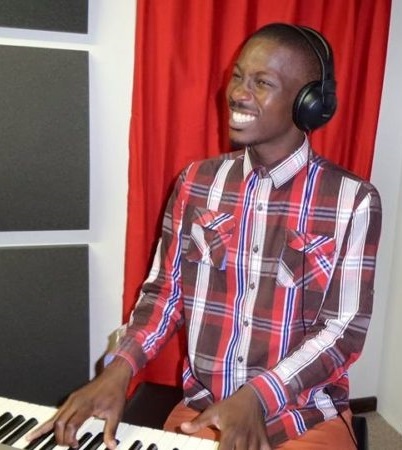 He is currently studying music at the University of KwaZulu-Natal under the teachings of Burton Naidoo, Neil Gonsalves and Sibusiso Masheloane. He started playing the keyboards at the age of 14 in church and that grew into learning jazz and improvised music. He shared the stage with Jimmy Dludlu and has also worked with great artists like Sibongile Khumalo, Camagwini and Asanda Mqiki. His music is based around jazz and improvised music, which has transcended to new harmonic expression while his music is still developing. Vuyo on piano will be accompanied by bassist Philani Ngidi, Zolani Rhafuza on drums, Guitarist Nick Pitman and saxophonist Phumlani Mtiti.